I have a love of Chefs....Have lots of them in my kitchen and they were my inspiration for this card :) Not to mention now that I have my Imagine back I can start using ALL the cartridges I have collected. I think you will be seeing quite a bit of Imagine from me. Just loving how easy this machine makes it to create so fast!!! 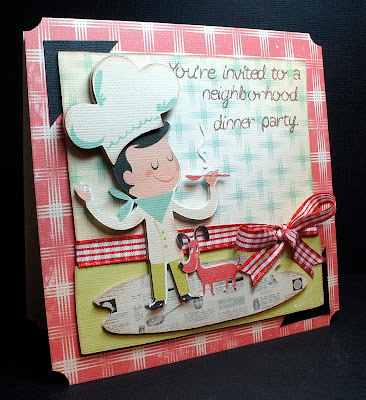 Lots of possibilities with the My Pink Stamper Invitation Only set. You can find out how you can order one HERE. I used three of the different phrases on this set for the card. I just didn't ink the party next to neighborhood. 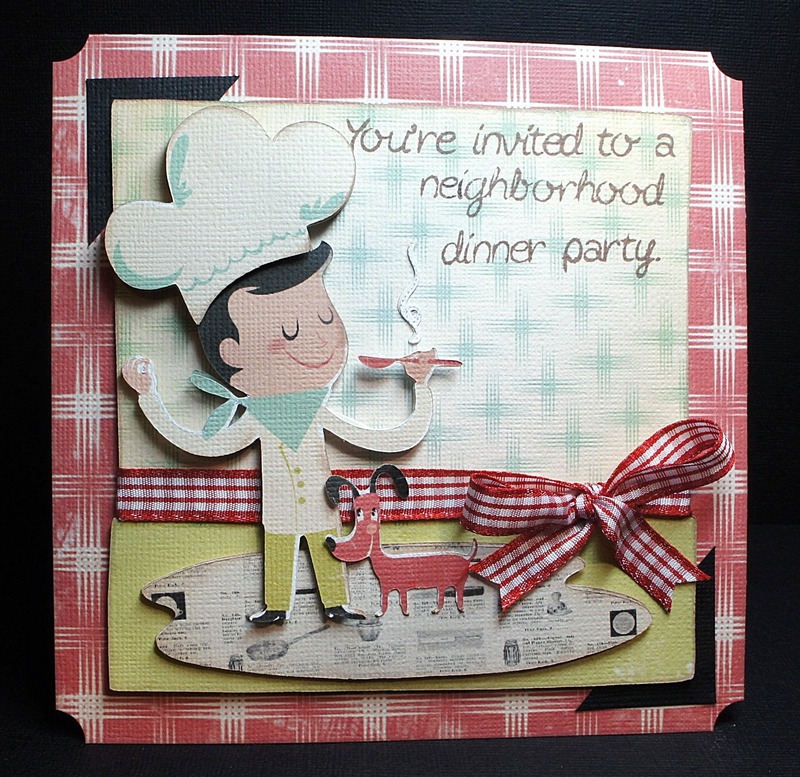 Kate's Kitchen = Card Base paper at 6" x 6", background square at 5", Chef at 4.75"
This is darling, be sure to enter into Scrappin chics challenge blog this month. 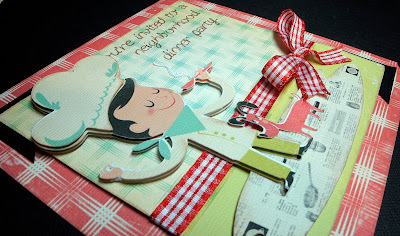 Its kitchen theme this month. Your card is adorable, I love the chef! !